The formation of new companies incorporated in the UK dropped in 2017, according to data published by Companies House. Some 622,713 new companies were launched last year, down from 646,703 in 2016, representing a drop of around 4%. Commenting on the figures, the Centre for Entrepreneurs (CFE) claimed the decline is a result of the government’s tax clampdown on public sector contractors. 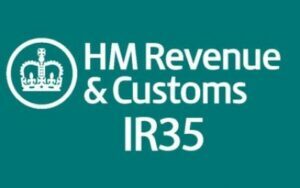 Changes to rules surrounding IR35 came into effect in April 2017, which were intended to stop work which HMRC regarded as “disguised employment”. This has led to a decrease in the registration of new businesses, which the CFE says had previously been “distorted” by high numbers of contractors. With business registrations increasing for nearly a decade it is not surprising to see the record streak come to an end. While the tax clampdown is responsible for most of the drop, there is evidence that formations have fallen more than expected. To boost startup figures, the government must return to championing entrepreneurship and supporting entrepreneurs. Contact us for advice on any aspect of IR35.